President Maithripala Sirisena became part of yet another political coup within five years. In the first coup, he parted ways with the Mahinda Rajapaksa government to become the common candidate of the opposition parties headed by the United National Party (UNP) in 2014. His shift, then, was considered as “traitorous” by Rajapaksa and his loyalists. The present one unfolded when he appointed former president Mahinda Rajapaksa as the new prime minister on October 26, 2018. This move surprised almost everyone I know in Sri Lanka. Maithripala Sirisena was elected president in January 2018 with the UNP, and minority votes as United People’s Freedom Party (UPFA) votes went to Mahinda Rajapaksa. Therefore, especially members and supporters of the UNP have reasons to believe that Sirisena betrayed them. The move ignited a political crisis in Sri Lanka as there are two prime ministers, currently. Ranil Wickremesinghe maintains that he is the legitimate prime minister because he commands the confidence of parliament. In other words, Wickremesinghe argues that he has the support of at least 113 members in parliament. This issue has the potential to prolong the crisis and instability, something the country does not need at this point in time. Explaining the reason for sacking Ranil Wickremesinghe and appointing Rajapaksa as prime minister, President Sirisena accused the UNP of corruption and for promoting anti-national agenda. He tried to drive a wedge between the UNP as a political party and its leader Ranil Wickremesinghe. This aspect of his address seemed like a well-thought-out strategy to split the UNP. A split within the UNP would be extremely helpful to prove Rajapaksa’s majority in the national legislature. 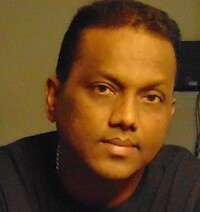 Nevertheless, his point was that he, as the president, could not work with Wickremesinghe. Hence, he needed to be fired. Predictably, he did not go into the question of why Rajapaksa was appointed the new head of the cabinet. That would have been an awkward episode because Sirisena could not state with a straight face that Rajapaksa is a clean alternative and he can work with him easily. Sirisena contested the 2015 presidential election accusing Rajapaksa of authoritarianism, corruption, and nepotism. On his part, Rajapaksa claimed that he was convinced to take over the administration, yet again, to save the country from decay. He cited the increasing cost of living, the collapsing economy and the rapidly depreciating rupee as the reasons for the removal of Wickremesinghe and dismissal of his government. Now we will save the country from this horrible situation was Rajapaksa’s message. Therefore, according to the President and the newly appointed prime minister, the coup or what some of the Sirisena-Rajapaksa axis backers call “revolution” was undertaken to save the country from Ranil Wickremesinghe’s bad government. However, the question is what is in it for President Sirisena? Sirisena is no Sri Lankan Mandela. He is an ordinary politician trying to survive in a challenging and profoundly problematic polity. The reality is that with his battle with the UNP and Wickremesinghe, he lost the possibility of getting elected for the second time in 2020. It was clear that the UNP will not support him for president in the next election and he has no chance of securing the UPFA votes. The UPFA voters are still loyal to Mahinda Rajapaksa. In the recently concluded local government election, the Sirisena headed faction secured only the third place in terms of national votes. Hence, it is pretty clear to me that the current move involves Sirisena’s calculations for the 2020 presidential election and beyond. The current Sirisena-Rajapaksa alliance could not have evolved without a givisuma (pact). Did Mahinda Rajapaksa promise something in return for his current appointment as prime minister? Would the Rajapaksa group support Sirisena for president in the next election? Alternatively, do they have other plan for Sirisena after 2020? Details of the possible agreement between Rajapaksa and Sirisena remain highly confidential. It is also imperative to note that Rajapaksa, the shrewd politician, knows that there is no guarantee that Sirisena will not come up with another coup if need be. Hence, the interaction or the nature of relations between Sirisena and Rajapaksa is something that needs to be carefully observed as well. The Rajapaksa government was ousted in 2015 mainly due to its problematic style of governance. However, Rajapaksa played mostly by electoral rules. He conducted too many elections, and when defeated in 2015, he left the office without too much fuss. This history influenced me to be surprised when Rajapaksa readily accepted the prime minister position and is working to form a government, which in the eyes of a substantial segment of the Sri Lankan population seems illegitimate and problematic. This was a coup because he did not become prime minister through a legitimate election. Various tactics are being used for this hostile takeover. It is suggested that the Rajapaksa administration will present a “vote on account” before presenting a budget. The vote on account is an interim measure aimed at securing funds for the expenditures before a full budget is presented and approved. One can expect too many “handouts” given to voters to alleviate their economic woes. The Rajapaksa group would expect the masses to respond positively to these popular measures. The other state resources could also be handy during the election. To continue as the new government and to present a vote on account, the Rajapaksa group has to go to Parliament and prove its majority, which seems like a problem at this moment. If the Rajapaksa group has a provable majority in parliament, they would have happily gone to the national legislature and faced a vote. They did not do that because right now the group does not have the support of at least 113 members of parliament. Hence, they are adopting a plan which could be called “consolidate and then prove” strategy. As part of this strategy, parliament was prorogued by the President until November 16. The prorogation, although legal, seems undemocratic. The time gained by proroguing parliament will be used to (1) consolidate the power and authority of the Rajapaksa group over state machinery, and (2) convince or “buy” opposition MPs. If one goes by the history of the country, the possible involvement of foreign funds to cement the Rajapaksa deal cannot be ruled out. One of the first countries to congratulate Rajapaksa on his new appointment was China. He can count on China for international support as well. The Rajapaksa group will also hope that the appearance that they have established a new government will be helpful to lure UNP members. The UPFA has 95 MPs, and the Eelam People’s Democratic Party (EPDP) can supply one vote. Hence, the Rajapaksa group has 96 reliable votes. Therefore, in order to prove his majority in parliament, Rajapaksa has to convince about 17 Members of Parliament from the UNP led coalition. Rajapaksa could target Muslim parties in the government, especially the All Ceylon Makkal Congress (ACMC), which has five seats. If the ACMC could be convinced to cross over, Rajapaksa will need to get the support of about 12 UNP MPs. Given Ranil Wickremesinghe’s grip on the UNP parliamentary group, getting 12 MPs from the UNP will not be an easy target. Hence, Rajapaksa has to work hard to prove his majority if and when parliament is reconvened. Meanwhile, the UNP has 87 MPs of its own, and if it manages to preserve the support of Muslim parties and the Tamil Progressive Alliance (TPA), it will still be short of about six seats. In my view, JHU is unlikely to shift loyalty. The Janatha Vimukthi Peramuna (JVP) has announced that it will remain neutral. It likely will stay neutral. The only way the UNP could produce signatures of at least 113 members is to get the support of the Tamil National Alliance (TNA). Given the internal troubles within the TNA and general Tamil sentiments, the TNA will find it difficult to endorse the UNP openly. Voting in favor of the UNP in parliament is different, which the TNA has been doing despite officially occupying the office of the main opposition party. Hence, it will be easy for the UNP to prove its majority in parliament than producing 113 signatures. This should explain the UNP’s demand to reconvene parliament immediately.